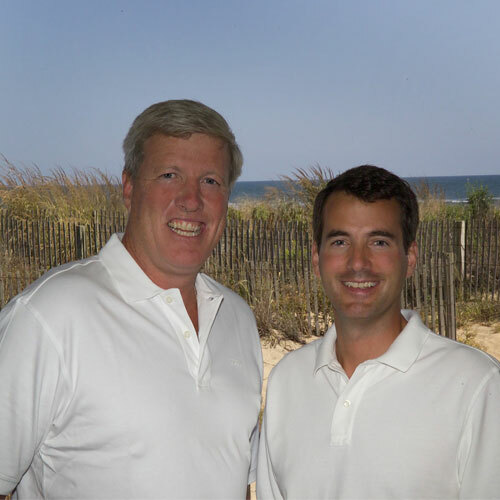 When Chris Jett and I decided to move to Ocean City to market Sunset Island, we knew our futures would be built upon honesty and excellent customer service. So building our mission statement was easy. Our mission is to provide you with the highest level of quality services exceeding expectations and earning your confidence for future business and referrals. We derive motivation from these great men who said great things. Chris, more so than I, is a more modest man. He works hard and stays humble. Don’t think humble roots lack growth. It’s been a minute or two since our rookie real estate days, but we now rank in sales volume as #3 and #4 in the Ocean City market. We’re willing to round that up and say we’re #1 duo around town. This is no small feat in such a short amount of time. Despite our success we continue to grow our business and rise above your expectations of us as well as our own. So when we make the sale we can say so securely. We look to grow with our community and know it as well as we hope for it to know us. We want to earn your business today so we can plan for your business tomorrow.